Looking for some answers? 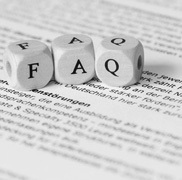 Check out our helpful FAQs section. How does a conditional fee agreement (CFA) work? A CFA is a risk-sharing arrangement whereby we agree to take a share of the risk in the claim. A full CFA or “no win, no fee” agreement is where, if you lose claim, you will not pay anything to us for our costs. If you win, you pay to us our fees on an hourly rate basis plus a success fee. The success fee is a percentage of our fees based on hourly rates. The level of the success fee will depend on all of the risk factors in the case including our assessment of the merits and the prospects of success on your claim. If you win, you will usually be entitled to recover costs from your opponent, but the success fee is not recoverable from your opponent. You will be liable to pay to us any difference between the costs recovered from your opponent and the costs payable under the CFA including the success fee. If you lose, you will not pay anything to us for our costs, but will still be liable for any expenses, but you may be able to take out after-the-event (ATE) legal expenses insurance against this risk. Legal Aid Public Funding - From April 2013, public funding will only be available to individuals who fulfil very specific criteria set down by the Legal Services Commission (the government body who deal with legal aid). You will only get Legal Aid if your case relates to the representation of a child in exceptional circumstances. If you are supported by a Legal Aid Certificate, our fees are paid at a level of remuneration set by the Government. We will be paid by the Legal Services Commission by reference to the amount of time spent on the matter. There are a number of factors which can affect whether your costs will be paid by the Legal Services Commission or not and the person in charge of your case will fully advise you in this respect. At this stage you should be aware that if you lose your case it is possible that you may still be ordered by the Court to contribute towards your opponents costs, even though your own costs are covered by Legal Aid. Furthermore, there is a possibility that even if you win your case, your opponent may not be ordered to pay the full amount of your costs and may not be capable of paying what they have been ordered to pay. Before the Event Legal Expenses Insurance - this insurance can usually be found on your buildings and contents insurance and premium bank accounts. Private Fee - It is always open to you to instruct us to act for you on a private fee-paying basis. This will mean that you will be responsible for our fees as and when they are incurred regardless of the outcome of your case. Legal costs are very often one of the most significant issues in claims of this type. Because of the need to pay disbursements (that is sums paid to others in the preparation of your case such as medical experts and barristers) when they arise, legal fees do mount up very quickly. A pressure sore is also known as a bed sore or a pressure ulcer and is a serious skin condition particularly effecting those under nursing care. Pressure sores are areas of the skin that become damaged and unhealthy due to consistent pressure applied to the area. Will I have to attend meetings? An initial appointment can be held on the telephone, during a home visit or by attending any one of our offices. Throughout the duration of your claim we will keep you updated every step of the way. However, your instructions are important and therefore you may have to have examinations by experts and attend meetings with those experts and a Barrister who specialises in medical negligence. The meetings can be held at locations that are convenient to you.